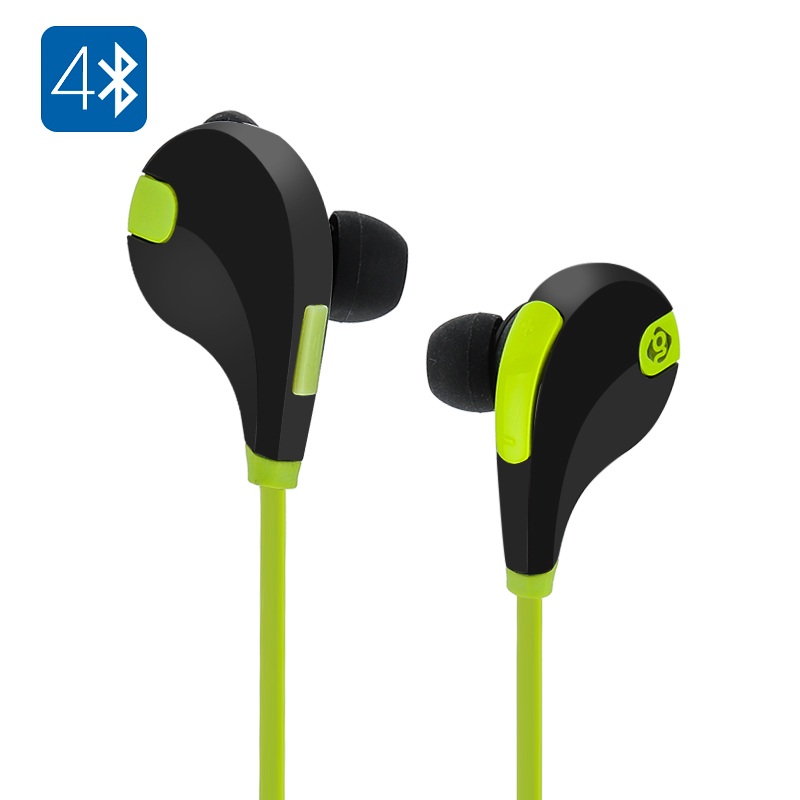 Successfully Added Geega S401 Blutooth 4.1 Sports Earbuds - Bluetooth 4.1, A2DP, L2CAP, HSP, HFP, Hi-Fi Music, Built-In Mic, Sweat Proof (Green) to your Shopping Cart. Using the latest Bluetooth technology these sports earbuds from Geega support all the latest function such as Advanced Audio Distribution Profile (A2DP) and Headset Free Profiles bringing remote control on your headphones letting you easily answer calls or switch tracks without having to dig your phone out for your pocket. With a 10 meter range you can get up and wander around the house or gym while your phone, tablet or music player streams the highest faulty sounds directly to your ears. The inclusion of Logical Link Control and Adaptation Protocol (L2CAP) opens up faster more efficient connections speeds between devices making it easy to connect any of your portable Bluetooth devices with this fantastic set of earphones, even in areas crowded by other wireless connections. With a sweat and splash proof design these earbuds are suited to your workout and will help you get into the zone and as you exercise to a healthier body. The high fidelity sound will and great Bluetooth connectivity will ensure nothing interrupts your workout as you get motivated by your favorite tracks. With a 70mAh built in battery the Geega S401 earphones can keep going for up to 4.5 hours, so even if your intent on running a marathon they can still keep pace with your workout. The Geega S401 earphones come with a 12 months warranty. Brought to you by the leader in electronic devices as well as wholesale sports earbuds..